Value for money, comparable to blockwork construction. 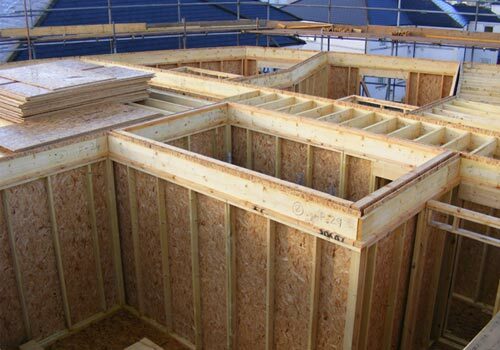 Thermal Insulation and subsequent energy savings, with lower fuel bill. Engineering technology for structural design. Moisture control and reduced condensation levels. Flexibility of internal room sizes. All timbers are kiln dried, stress graded and treated. Timber used is from managed forests of the world and is a sustainable source. Easy to extend or convert.